51% of Marketers Professionals worldwide say Video Content yields the best ROI. 90% of Users report that Product Videos are helpful in the decision process. No doubt you are a savvy businessperson looking for ways to accelerate your business and drive revenue. You realize video content is high-octane marketing fuel. You just need a production partner that will steer you in the right direction. We are a lean and efficient, video production and marketing machine with a reputation for producing high quality, results-oriented content that fuels our customers’ success. What’s your story? Share it in video™. At Blue Truck® we are passionate about helping our clients gain a competitive advantage by leveraging the power of video and digital content. We understand that the number one reason companies choose to invest in video marketing is to generate revenue. Video is an exceptionally effective and efficient marketing vehicle that enables companies to share their unique stories with the world, build brand equity and accelerate business. Blue Truck’s custom films are designed with one key purpose in mind: To make your brand memorable. 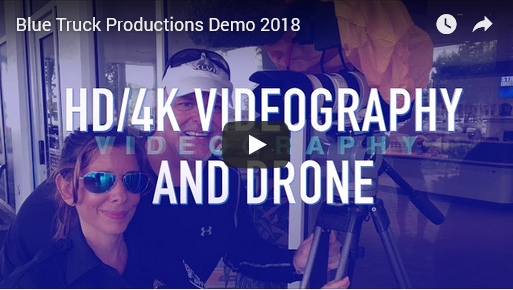 Whether you are planning a new product launch, celebrating a milestone corporate anniversary, training employees or in need of a series of short films for social media Blue Truck drives video content with a vision of your brand’s success in mind. Blue Truck® drives your business through the power of video marketing. Our writers and producers have extensive backgrounds in marketing, advertising and public relations, which makes us uniquely qualified to develop content that is congruent with your brand and sales strategy. We are not just talented filmmakers; we are inventive storytellers and skilled, experienced marketers. 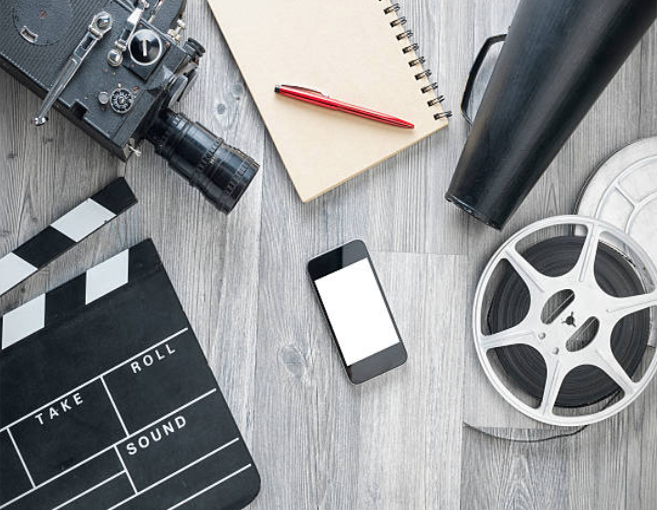 Whether your goal is to launch a new product or service, increase brand visibility, generate sales revenue, train employees, provide product knowledge to customers, or communicate with investors and shareholders, video is an efficient vehicle for delivering strategic messaging to key audiences. At Blue Truck we help clients express their core concepts and messages in custom films that communicate effectively with their audience while meeting the end business goal. The Blue Crew is available world wide and standing by ready to deliver results. offering a single source solution for content development and distribution. Our detail oriented project managers oversee each project from concept, to creative, to completion -- on time, and within budget. From logo and print design to 3D motion graphics, our creative types bring your brand to life visually. Our marketers and distribution teams are inventive in developing unique options to deliver your content in style. Blue Truck has brought my website, marketing and social media to a whole other level. All around creative talent is their greatest gift! Worked on a PSA with Kristin and found her to be as professional as anyone I have worked with in LA or NY. Would love to work with her again should the opportunity present itself. Kristin and her team have developed numerous media presentations that have been extraordinary. We have given her conceptual ideas and she and her team have put together brilliant videos that have effectively communicated our message. Her area of greatest expertise is taking an issue and developing a multi-media message production. With little direction she navigates through difficult stakeholders and provides something that is truly remarkable. I have had the pleasure of working with Kristin for almost 10 years and her work has included video presentations, training programs, educational sessions, etc. I would highly recommend Kristin.